God has a plan and purpose for each one of us. 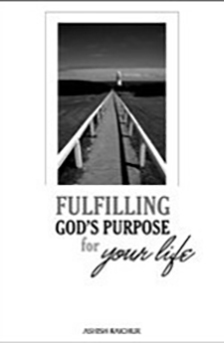 We must cooperate with God to fulfil His purpose for our lives. This study will teach you how to recognise God’s purpose for your life and what you need to do, to successfully complete all that He has planned for you. Catch God’s dream for your life! There is no higher or better purpose to live for, than living for God’s purpose for your life! There is nothing that can bring as much satisfaction as pursuing and fulfilling His heavenly call. There is no greater adventure than walking with God fulfilling the things He has designed for you. Enjoy your journey as you pursue God’s dream for your life!